It's a good idea to restart your iPad every few weeks to keep it running smoothly. To do this hold in the sleep/wake button at the top of the iPad for a few seconds until you see the message "Slide to Power Off". Then slide it, and the iPad will switch itself off. 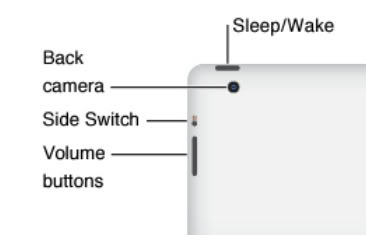 Wait a moment, and then press the sleep/wake button again to turn the iPad on again. It's as easy as that!